This year for Christmas we decided to do something different. For the last three Christmases we have been in Ankara. 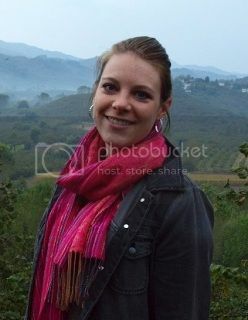 It is usually pretty quiet, there are some expat arranged parties, but somehow without family it seems a little hollow. The malls are brightly decorated for New Years, but in Turkey Christmas has always seemed a little anti-climatic. In the past we usually have a special dinner on Christmas Eve and go out to brunch on Christmas since I have to work the next day. I am lucky to have an employer who give me Christmas Eve and Day off, many others have to work. This year the stars aligned and Christmas fell on a Monday and Tuesday, combined with my regular day off (Wednesday) and the weekend, gave me a five day break for Christmas. My friend Lisa told me about the sales Turkish Airlines was having, and we decided to make the most of it! 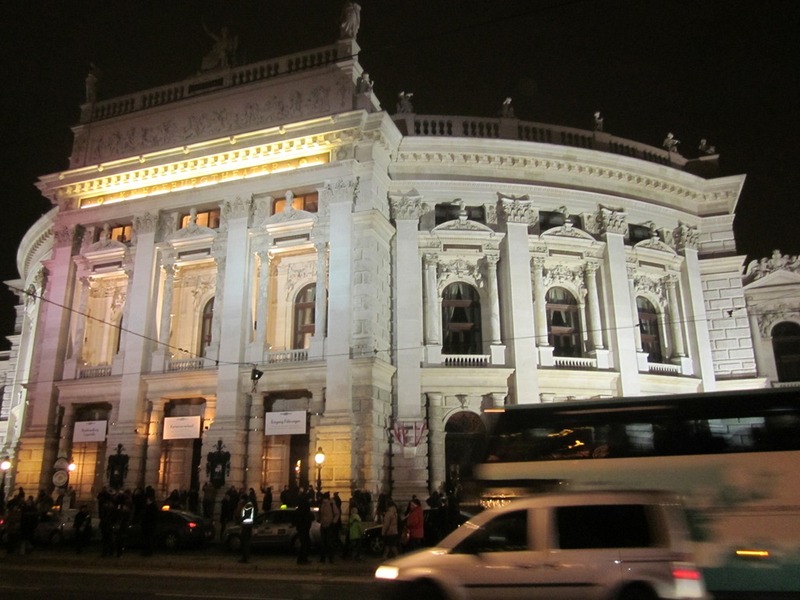 Bülent was in the Czech Republic the week before Christmas, guest teaching at a couple of different universities. We decided he would take a train and meet me in Vienna. I was able to get a great flight out of Ankara on the Saturday before Christmas. It was wonderful! 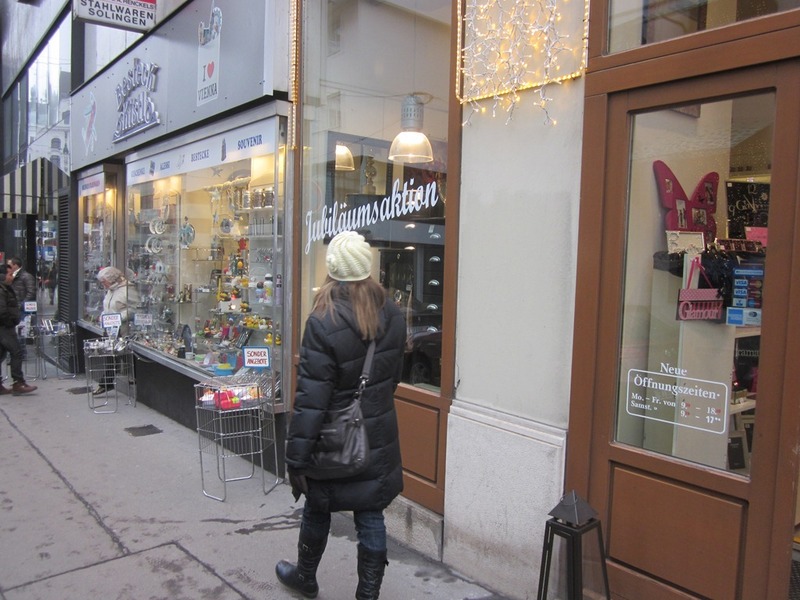 The air in Vienna emanated Christmas cheer, we kept coming across Christmas markets, lured by the scent of sausages, cookies and hot punsch (a warm alcoholic beverage). We walked a lot during this vacation, we set out with a vague itinerary and then just ambled around the city. We would have liked to go to more museums, but many things were closed for Christmas—naturally. Most days, we looked at the map before we left the hotel room, but not after. We had a vague idea of where we were going, but did not feel the need to pull out the map and check to make sure we were going in the right direction. It was an adventure, and planning everything and stressing out about where we we going would have ruined it. For Christmas Eve, we ambled. 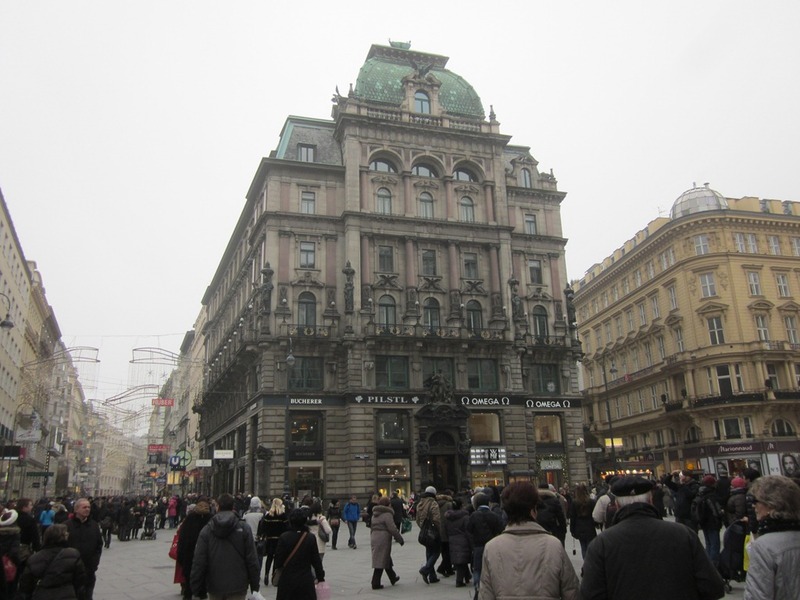 We started out near our hotel at Rathausplatz, and walked by the Votive Church and the the University of Vienna. 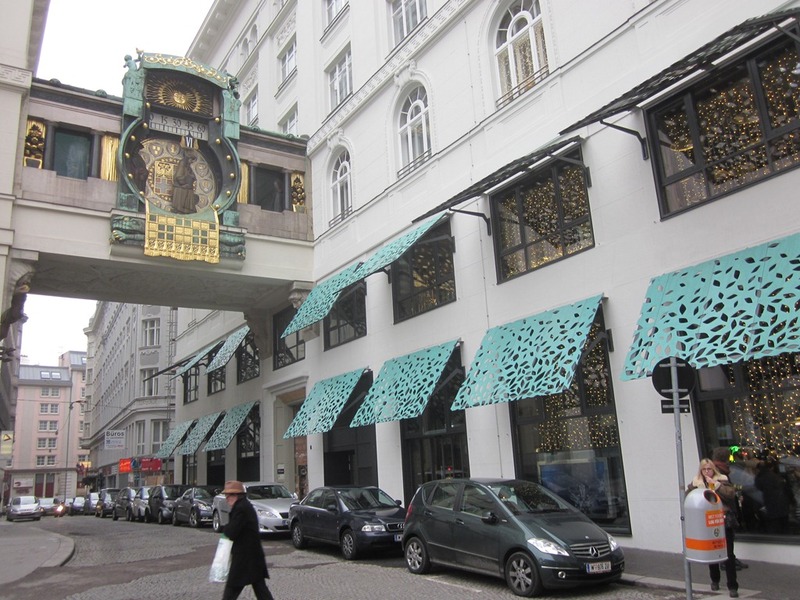 From there we checked out Hoher Markt. We went into some shops, everything was bustling as people were trying to finish their shopping to get home for Christmas Eve. We visited some grocery stores and could not believe the price of produce. I could get a kilo of apples in Ankara for what a single one cost there. We saw the famed clock, but decided not to wait for its figurines to move across the face of the clock to show the passing of time. 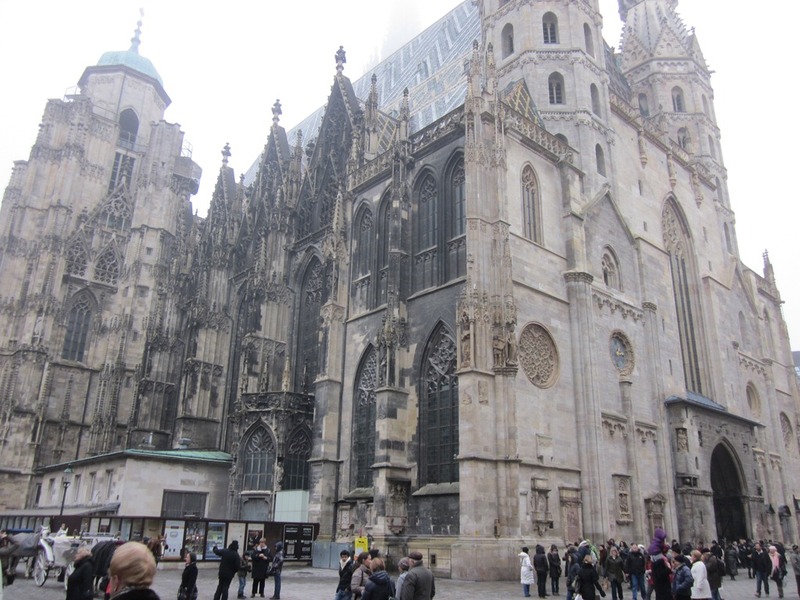 From there we headed to Stephansplatz and saw St. Stephen’s Cathedral. 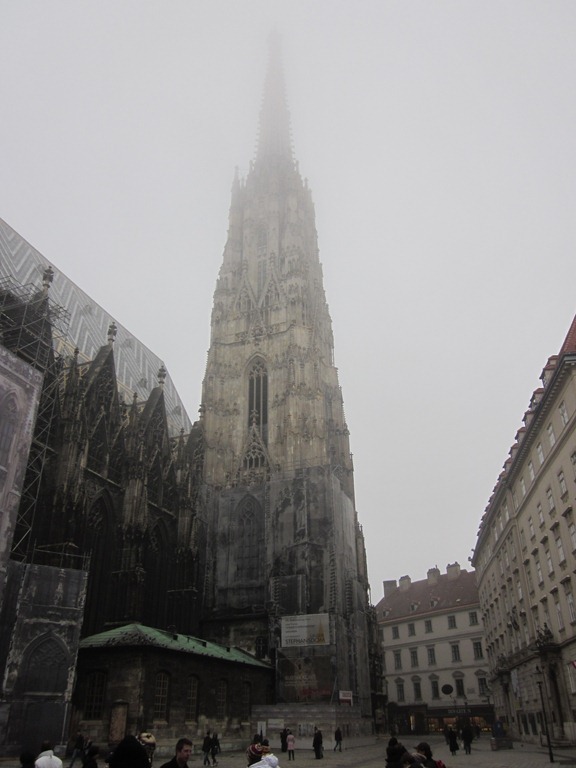 It was so incredibly large that mist shrouded the upper levels and you couldn’t even see the whole steeple. 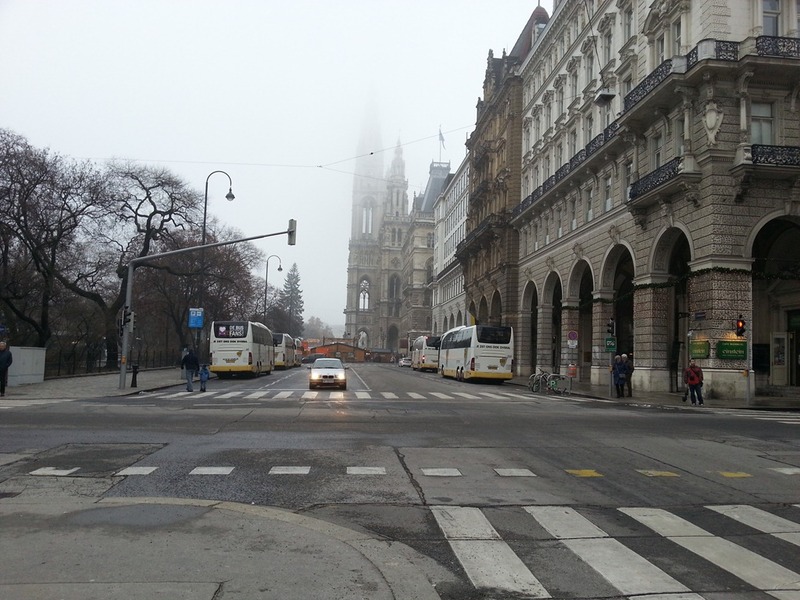 We found Stephansplatz, the area around St. Stephen’s Cathedral, to be a little too touristic. There were many of the same shops I would see in mall in the U.S. and Ankara. There were some beautiful buildings, but the men in old fashioned cloaks hawking concerts were a little distracting. After our walk we wet back to the hotel room, warmed up and relaxed. 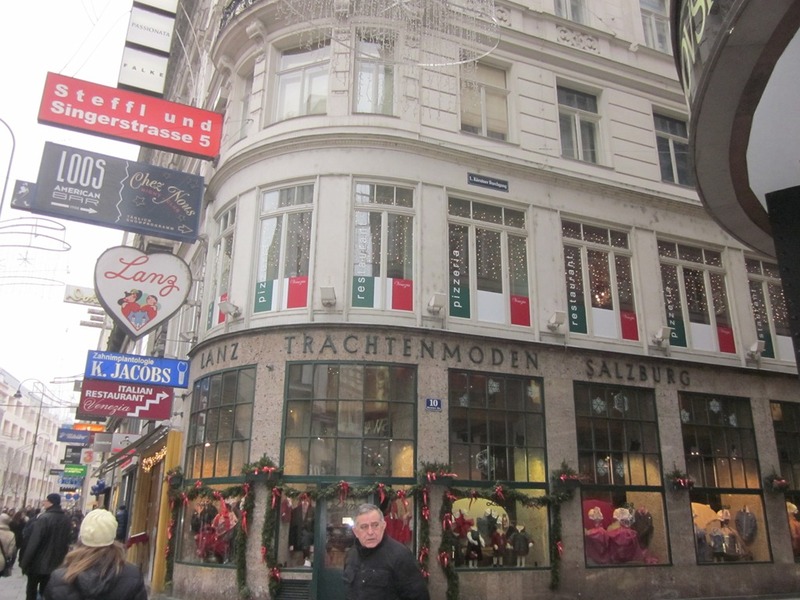 Later we went out to the Rathausplatz Christmas Market for some punsch, then had a nice dinner. 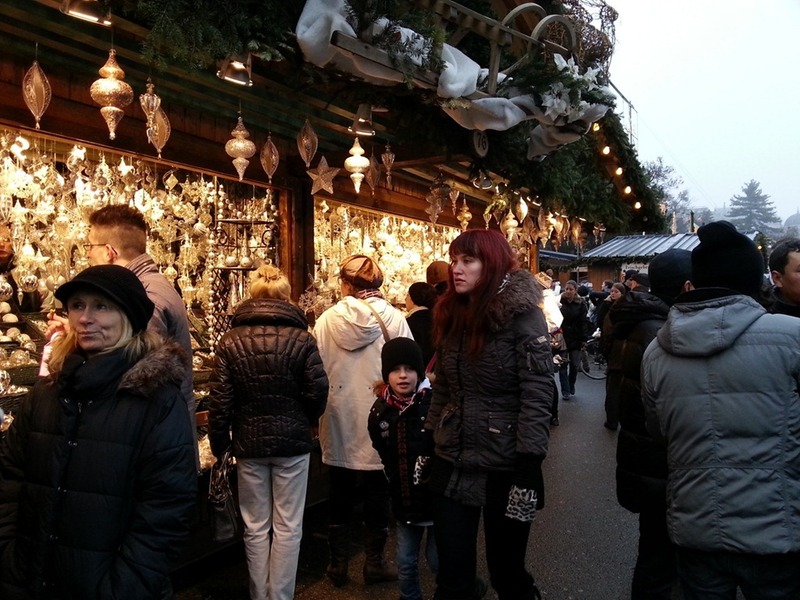 Most of the Christmas Markets closed on the 23rd or the 24th, but the Schoenbrunn Palace Christmas Market was still open on Christmas. We decided to go there for Christmas day. 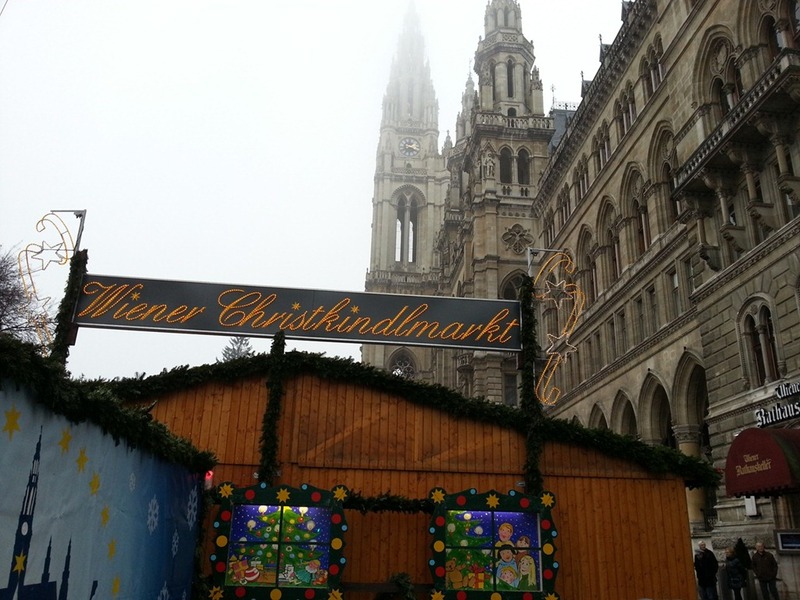 The Christmas market was lovely and festive. There were many food vendors and stalls selling souvenirs and gifts. 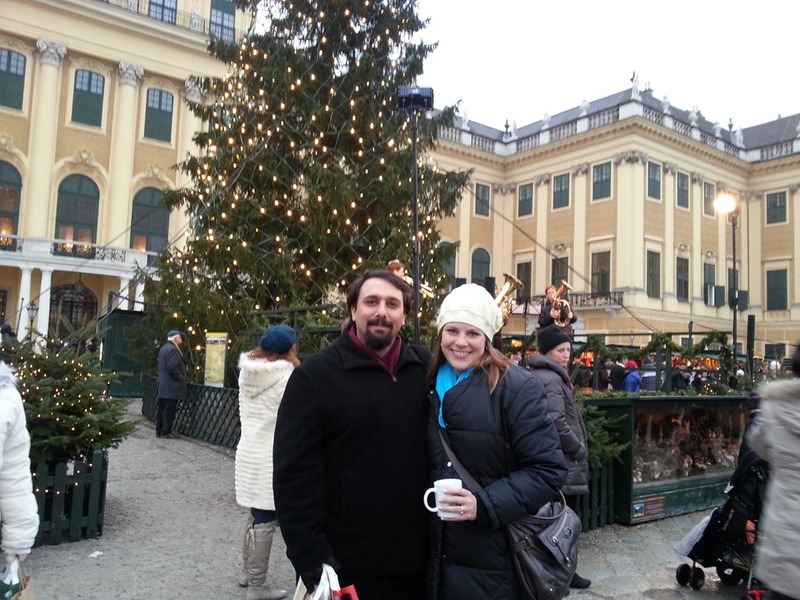 The Schoenbrunn Palace Museum was open as well. We had coffee at the café, took a tour through the place and then wandered through the Christmas market buying gifts for family and friends. 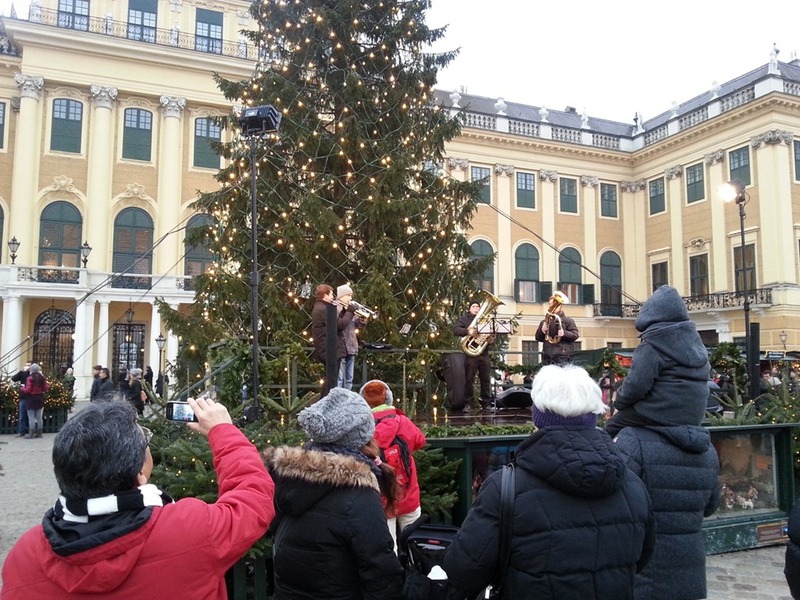 There was even a band playing Christmas Carols in the center of the market. I have to say it was one of the most romantic and relaxing vacations we have had in a while. Just the two of us, no distractions, for five whole days. It was also the most Christmassy Christmas I have had in a while. 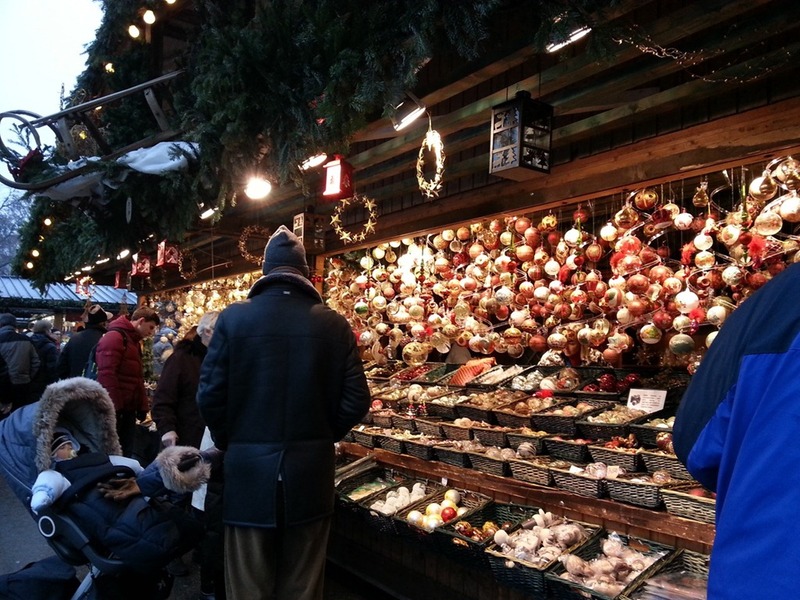 I definitely think we will try to sneak away for a weekend at the Christmas Markets next year—Maybe it will be our new Christmas tradition! I hope everyone had a safe and happy holiday season! Best wishes for the year 2013!